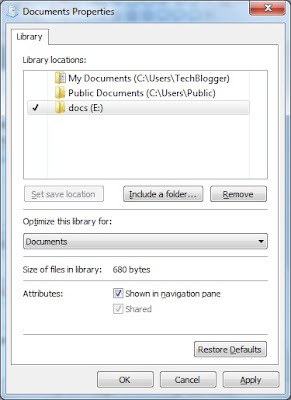 In Windows 7 My documents folder default location is C:UsersLoginidDocuments. 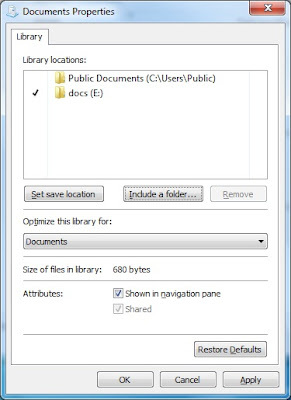 For example administrator’s Documents folder would be in C:UsersadministratorDocuments. 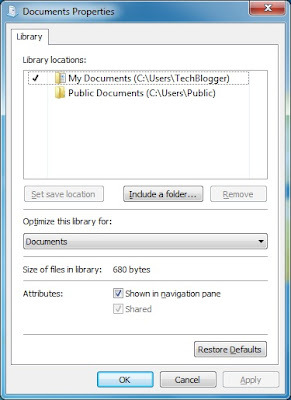 However this can be changed through Documents properties window. Detailed steps are given below. 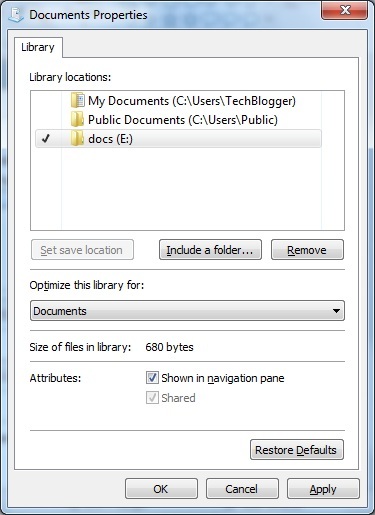 Click on Include a folder button. Now e:docs is the default location for My Documents folder. To avoid confusion, you can remove the old location from the list using ‘Remove‘ button.